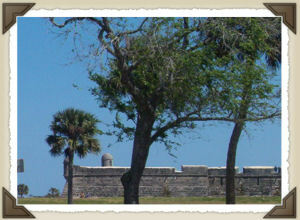 Built between 1672-1695, the Castillo de San Marcos is still an imposing structure. It was built by the Spanish to protect the town of San Augustine. It was constructed from coquina and built in a star shape. Despite numerous assaults and the town changing hands the fortress was never conquered. 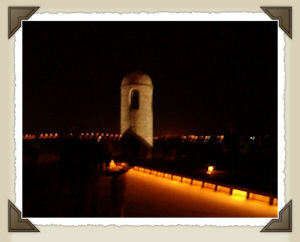 One purpose of the fort was to provide a place of refuge and shelter during enemy assaults for towns people. During one attack by the British each day the Castillo was bombard by cannons from ships. Each night the Spanish troops would remove cannon balls from the fortress walls. Each morning the fortress showed no visible damage. As Christians, we have a fortress that is stronger and safer than the tick walls of the Old Spanish fort. God wants to be our refuge when bombard by the enemies attack. Of course, God’s desire is to have fellowship with us in the times of joy and celebration as well. An amazing structure! Beautiful post.